How do I set an icon for my user profile? How to set the avatar for your user account. 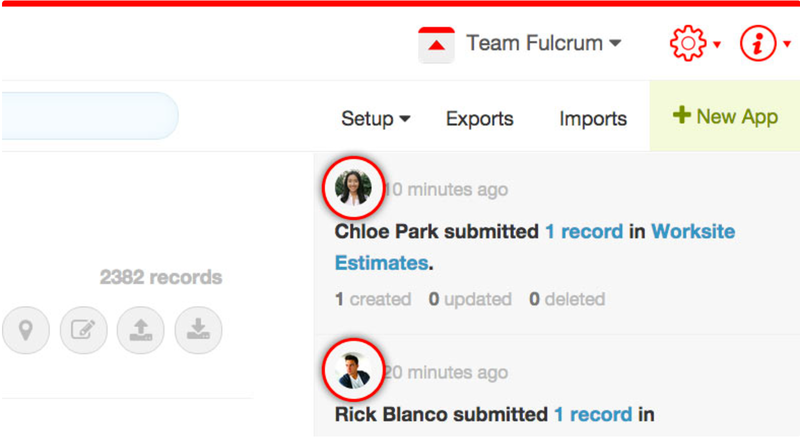 Each user can have an avatar icon configured, in addition to being able to set up an icon for the organization itself. 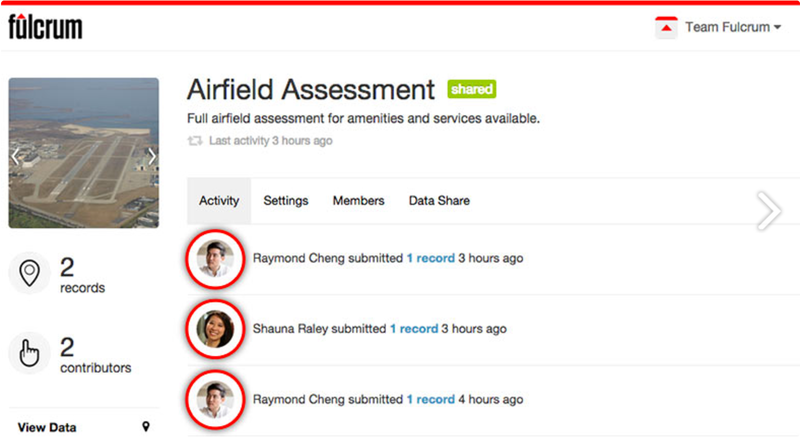 These avatars are used in various places throughout the system to provide a visual context in presentation, like in the activity feeds. Click Settings option from the red gear icon, this should take you directly to the Profile tab. On the profile tab, you will find a section that allows you to upload an image to use as your avatar. Save the Image you would like to use for your user profile. 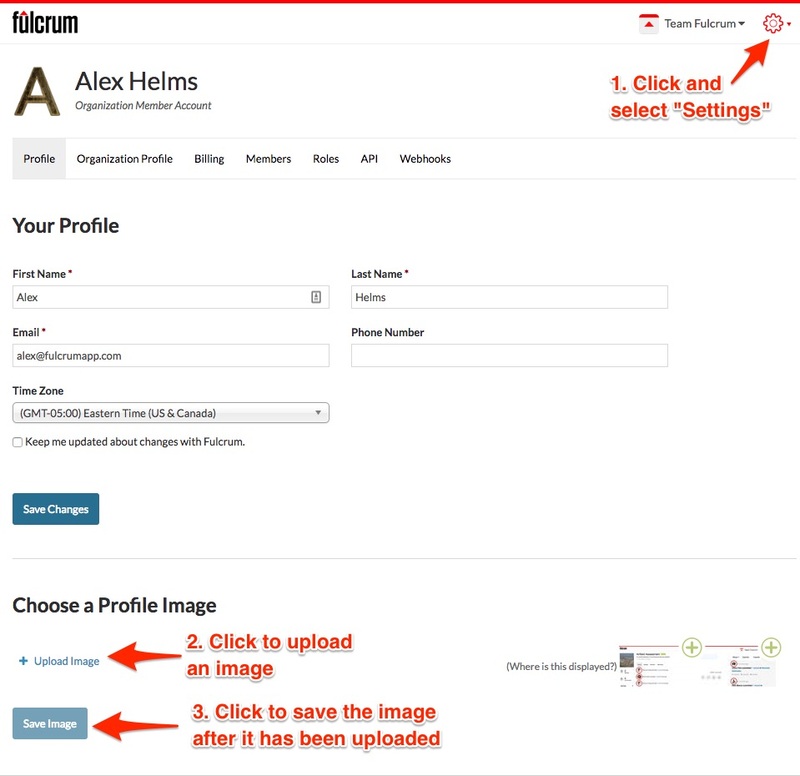 After the image is uploaded, you should now see your icon showing up in places throughout the Fulcrum system. and on the activity feed on the homepage. See also how to add an icon for your organization.